South African all-rounder Thando Ntini wants to forge his own identity. 101 Tests, 390 wickets, and the best figures by a South African bowler, all while being his country’s first black international cricketer – Makhaya Ntini left an imposing legacy, a tough act for anyone to follow. When you’re his son and also a fast bowler, that becomes an even harder challenge. It’s a huge ambition, but even at a young age Thando has already achieved something his father never managed. “I’m the first person in my family to attend an Under 19 World Cup because my father didn’t have the chance to attend one,” he said. Despite having a father whose importance to South African cricket is matched only by a few, Thando wasn’t always set on being a cricketer, and even when he did properly commit to the game, he did so as a batsman, and not a fast bowler. 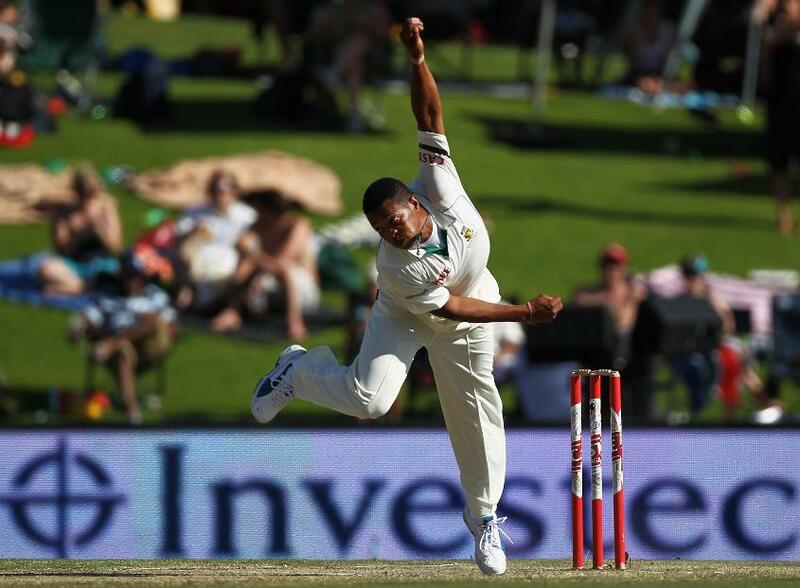 Makhaya Ntini is one of South Africa's greatest-ever bowlers. His son Thando wants to be better than him. He must be looking forward to playing in New Zealand then, where the ball does a bit? “I’m very excited about that,” he replied, with relish in his eyes. Ntini doesn’t seem the sort to try and hide his feelings or his ambition, even openly discussing what others might view as flaws – he said he prefers limited overs to long-form cricket because “my attention span is pretty short, it keeps me alive in the field, I can’t fall asleep”. It’s a quality that feels more like a strength than a weakness. With all the expectation being Makhaya’s son must bring, it’s vital to be able to approach it head on, and his ability to do that is as sure a sign as any that he will be able to emerge out of his father’s shadow and perhaps even at some point surpass him.